From the name of it, certainly it looks for posts with the highest scores. However, recently I found that some of the posts are not listed. 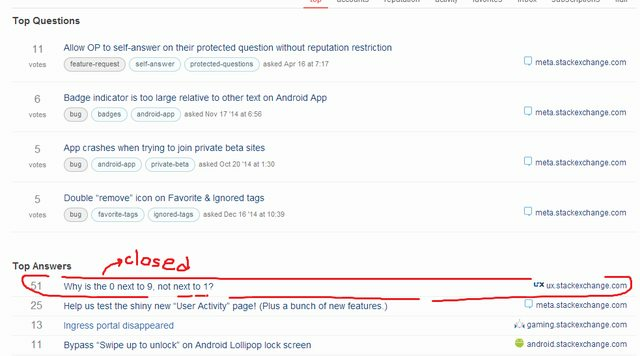 However, it's listed normally on Stack Exchange profile for top posts. Also, what other criteria that makes the posts to be included/excluded in "Top network posts"? We’ll show off your best work. Your top posts - along with the technologies or tags you’re strongest in - show others what you’re all about. And if you’re active on multiple communities, your best stuff from those sites will show in the sidebar, too. I think, best stuff is referred to your top posts by adding filters of closed:no duplicate:no. And actually best stuffs is different from top stuffs as not described there. But I think it could be better by phrasing it like Best network posts. And if you’re active on multiple communities, your1 best stuff2 from those sites3 will show in the sidebar, too. Not in the closed questions (closed:no duplicate:no), they're the best stuff from your "Top posts"
Has score of 5 or more (score:5), this is a prerequisite of "Top posts" on SE global profile. Not the answer you're looking for? Browse other questions tagged support profile-page posts . My most voted question isn't listed on my profile on “Top Questions”. Why is that so? Why is my top answer to showing in my Top Network Posts?